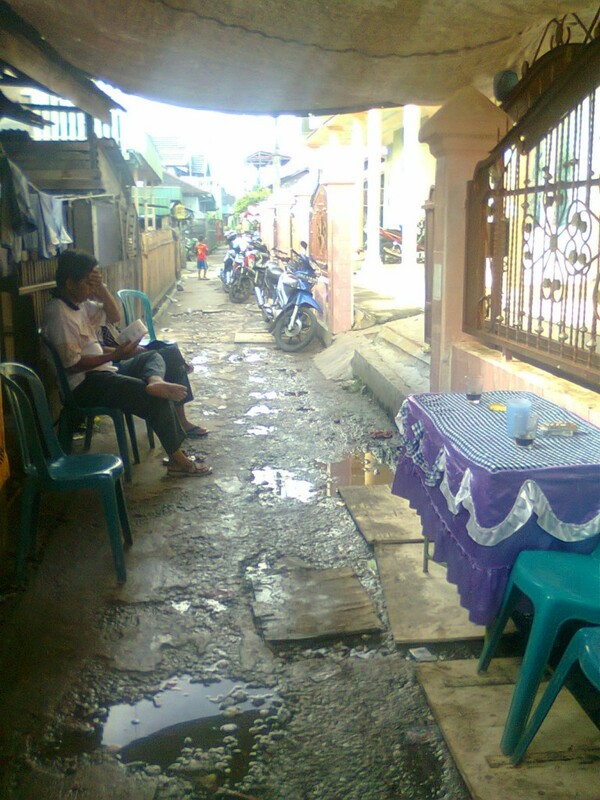 In the urban residence of Indonesia, most of wedding party holds at in the front of street, or even the street itself. This pic was taken when in my front of home held a wedding party and my fathr was waiting for the guests. Anyway, its little dirty on the road because after raining.